What do we know so far? According to a team of experts, the creature is 168cm tall with human-like features. The three extremely long fingers on each hand, the elongated cranium, as well as the lack of a nose and ears, set the being apart from ordinary humans. If there is one thing that mainstream researchers must admit, then it’s the fact that we have absolutely no idea about the exact origin of the human race, our complete history, and the fact that humanities past is shrouded in mystery. 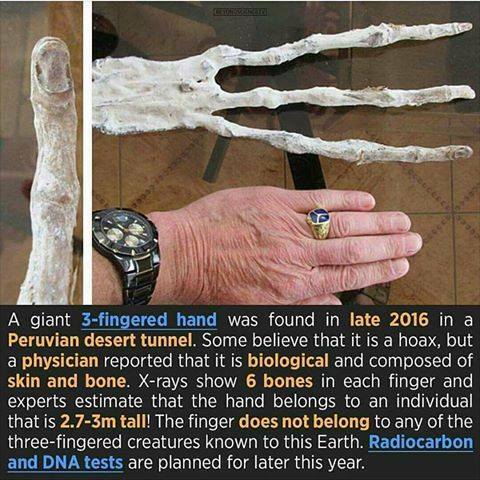 Proof of this was partially obtained in January of 2017 when a 3-fingered mummified hand was discovered in an abandoned Peruvian tunnel. Some believed that the ‘science fiction movie hand’ was a hoax, but researchers reported that it is biological and composed of skin and bone. X-Ray analysis showed that the mummified hand had six bones in each finger and according to initial estimates, the being to who the hand belonged to was around three meters tall. Curiously, the mummified remains were determined to be of an unknown origin, and do not belong to any three-fingered creatures discovered on Earth. But if the above story wasn’t exciting enough there is more. An incredible discovery was made in Nazca Peru which tells an incredible story that may even alter the story of human origins. 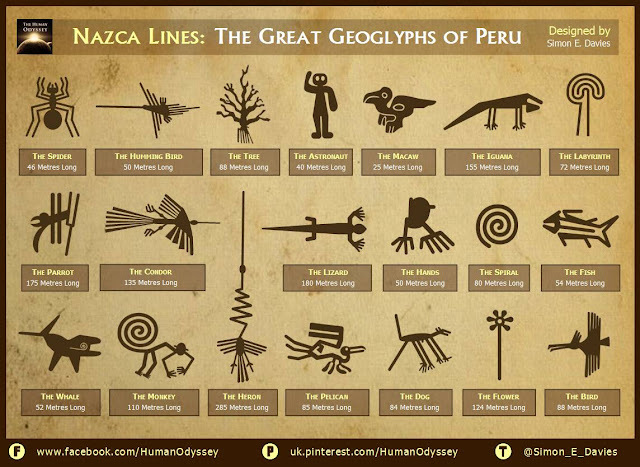 Nazca in Peru is famous for its enigmatic geoglyphs, etched on the dry desert floor between 500 B.C. and A.D. 500. They are considered as the most outstanding group of geoglyphs anywhere in the world and are unmatched in its quantity, size, and diversity. The concentration and juxtaposition of the lines, as well as their cultural continuity, demonstrate that this was an important and long-lasting activity, lasting approximately one thousand years. 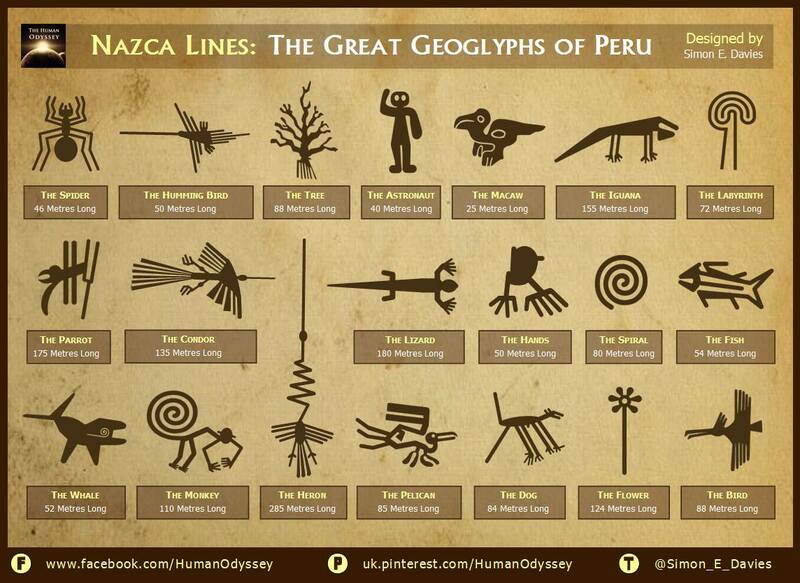 But the Nazca lines aren’t the only mystery in that particular region in Peru. 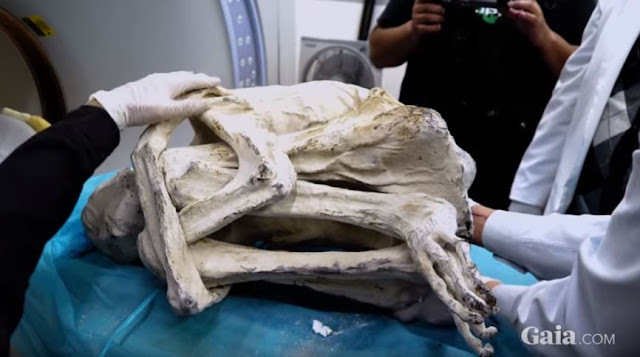 Experts have come across the crouched remains of that appeared to be a mummified body of a humanoid being with an extremely elongated skull AND hands with only THREE fingers. While this is probably one of the greatest mysteries from the Nazca region in recent years, many authors and researchers warn we have found ourselves in a situation where anything is possible, yet it is imperative to maintain an open, curious yet skeptical mind. I mean, after all, you don’t come across a three fingered, elongated cranium, mummified remains every day, do you? If we take a look back at history we will come across countless elaborate hoaxes which have caused many researchers to remain skeptical when it comes to findings like these. So what do we know about this mysterious being? 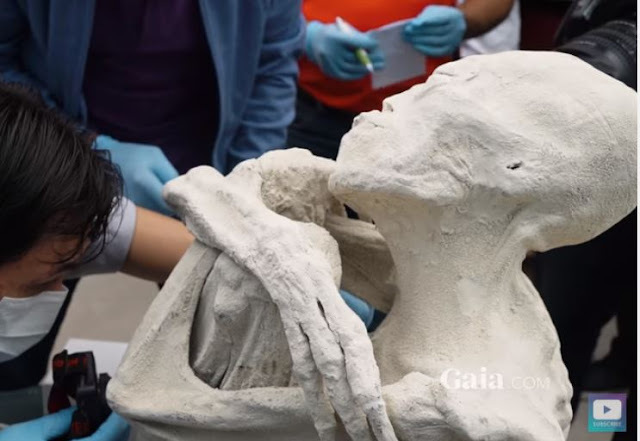 Well, the finding was exposed to the world when Jaime Maussan—a UFO Researcher and Journalist from Mexico—introduced the mummified remains to Gaia filmmakers. Quickly a team was formed with researchers and scientists in order to investigate the story behind the mummified being. Gaia has posted a YouTube video discussing the discovery in which researchers suggest that analysis of the body indicates that the being may be UNIQUE to the known fossil record. As noted by Ancient Origins, Dr. Konstantin Korotkov , a professor at Saint-Petersburg University is examining the mystery creature together with Dr. José de Jesús Zalce Benítez, a Forensic expert at the National School of Medicine of Mexico, and Natalia Zaloznaja MD Ph.D., Head of image analysis of the Medical Institute MIBS. Initial analysis results show that the creature is 168cm tall with human-like features. 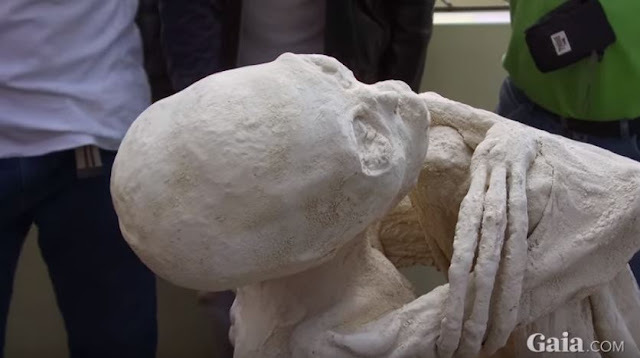 However, as noted by experts, the three extremely long fingers on each hand, the elongated cranium, as well as the lack of a nose and ears, set the being apart from ordinary humans. As noted by Dr. Korotkov in the video, we might as well be looking at ‘another creature, another humanoid’. The mystery creature is completely covered by a whitish powder which according to experts may have been used in ancient times to preserve the mummified remains. Experts believe that the beings internal organs are well preserved as well. Recent carbon dating samples place the creature between 245 and 410 AD. As you are reading this, DNA sequencing of the mummified remains is already underway, and as noted by Ancient Origins, Melissa Tittl, Gaia’s Director of Original Content, says in the video that further analysis of CAT scan results is also in progress. Furthermore, experts believe that the creatures unique appearance is real, and it is very unlikely that anyone has made changes to either the skull od hands. As noted by Jay Weidner, Senior Director of Content for Gaia, petroglyphs located in the vicinity where the body was discovered depict a mysterious creature with THREE fingers. The mystery remains and we look forward to learn more about the mummified remains. Are we looking at a long lost human relative? Are we looking at the remains of the ‘Gods’ that according to many ancient texts descended from the heavens in the distant past? Are we looking at a humanoid species that existed on Earth long before humans came into existence? Source: SPECIAL REPORT: UNEARTHING NAZCA | Only on Gaia.com! Etched into the driest desert in the world, the mysterious Nasca lines in Southern Peru are invisible from the ground. Thought to have been made between 200 BC and 600 AD, these huge drawings were not discovered until the 1930s--and only then by commercial airline pilots who happened to over-fly them. Who built them, and why? Josh Bernstein searches for answers, flying micro-lites and powered para-gliders, clambering through thousand-year old irrigation tunnels, and recreating rituals with contemporary Native Americans. - PLS. CONTINUE READING CLICK HERE. The ancient Egyptians (in Africa) and the ancient pre-Incas/Incas (in South America) evolved on opposite sides of the globe and were never in contact. Yet, both cultures mysteriously possessed the same strikingly identical body of ancient art, architecture, symbolism, mythology and religion. The Victorian-era scholars, faced with this enigma, concluded that both cultures must have been children of the same Golden Age parent civilization, “Atlantis.” Today, Egyptian/Inca parallels are not only being ignored by American and Western scholars, they’re being suppressed. Many baffling and unsolved similarities link the ancient Egyptians and the ancient pre-Incas/Incas ― even though both cultures evolved on opposite sides of the planet, separated by oceans. Victorian-era scholars, faced with this enigma, believed both cultures inherited the same high wisdom from the same exceedingly older source — a shared “parent civilization” now lost to history. For the Victorians this common parent hypothesis explained the parallels well. These Victorian scholars called this common parent “Atlantis,” following Plato and the Classical historians. BOTH THE ANCIENT EGYPTIANS AND INCAS / PRE-INCAS…built stone pyramids and stepped pyramids in the desert along rivers and aligned with cardinal points. In both cases, deceased were interred within. BOTH THE EGYPTIANS AND INCAS / PRE-INCAS…Mummified their dead, which symbolized life beyond death. Mummies were interred inside pyramids, often with food offerings and personal belongings. Both cultures believed in life beyond death. 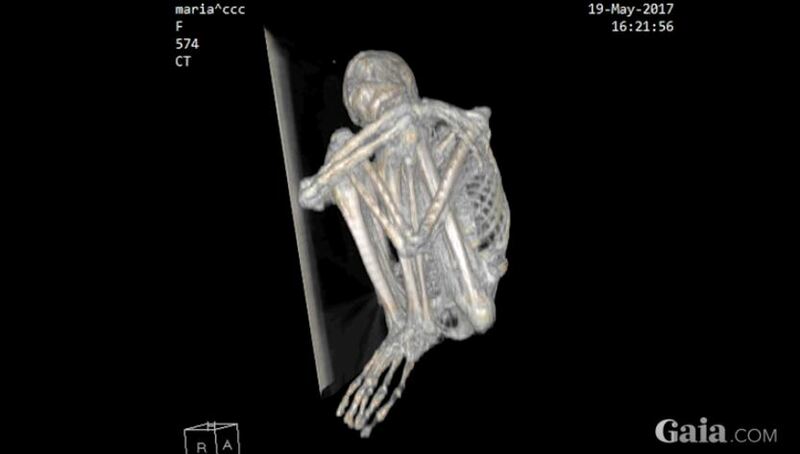 BOTH THE EGYPTIANS AND INCAS / PRE-INCAS…Crossed the arms of their mummified dead. This was to show the “balance” state that one entered in death, as one lived a balanced life. The two arms denote opposites in balance, a left side and a right side crossed. 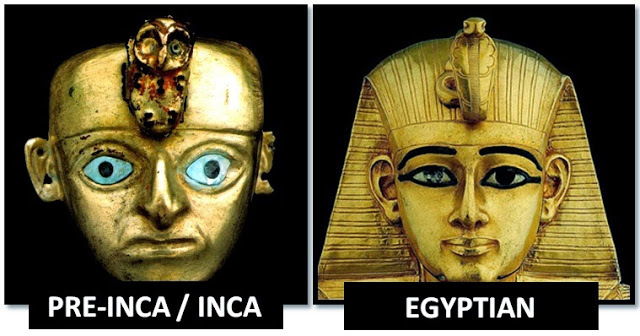 BOTH THE EGYPTIANS AND INCAS / PRE-INCAS…Placed gold masks upon their dead, symbolizing their entering back into eternity, the “other side” of the veil, the higher home in the heavens, which is eternal and spiritual, unlike earth, which is temporary and physical. It also conveys in an alchemical sense the idea that, while they were here, these eternal souls took on the lead of human form and turned it into gold. BOTH THE EGYPTIANS AND INCAS / PRE-INCAS…Adorned their dead with gold necklaces the ends of which are formed by twin animal heads facing outward, symbolizing our human/animal powers balanced and in an equal peaceful state and place of power and eternity. This “balance” state is how the alchemical transformation is achieved, hence the gold. BOTH THE EGYPTIANS AND INCAS / PRE-INCAS…built very similar looking stonemasonry, even down to the detail of carving bulges or “bumps” in the stones (see detail). What is the rhyme, riddle and reason here? How can this be explained? BOTH THE ANCIENT EGYPTIANS AND INCAS / PRE-INCAS…created precision-like stone cuts in their masonry, such that a piece of paper can barely fit between stones. Often no mortar was used. This symbolizes the quest to gain perfection, or nearness to perfection, which leads one closer to our spiritual and heavenly home and eternal source. BOTH THE ANCIENT EGYPTIANS AND INCAS / PRE-INCAS…built trapezoid doorways, signifying spiritual advancement upward. The trapezoid is similar to a triangle, which denotes ascension and spiritual transcendence. The trapezoid doorway is used by many ancient cultures. It relates a kind of futuristic state of humanity that occurred in the distant past, when people were calm and had attained nirvana; this doorway is the symbol of the high wisdom once possessed by our ancient ancestors. BOTH THE ANCIENT EGYPTIANS AND INCAS / PRE-INCAS…designed twin symmetrical serpents above the trapezoidal doorway entrance to their temples. The idea of balancing the opposing energies is certainly presented here, via these twin animals in symmetrical balanced poses. This “balanced opposites” image seems to be the “ideal” that is taught within the building that is entered through these doors. BOTH THE ANCIENT EGYPTIANS AND INCAS / PRE-INCAS…elongated the skulls of their children to sharpen senses and improve spiritual insight. This seemingly-bizarre practice has not truly raised the eyebrows of modern scholars, not nearly as much as it should. BOTH THE ANCIENT EGYPTIANS AND INCAS / PRE-INCAS…built and erected sacred obelisks as devices of profound male power, fertility, birth, longevity, strength. Great reverence was given to obelisks; they were among the most revered landmarks. BOTH THE ANCIENT EGYPTIANS AND INCAS / PRE-INCAS…built earthquake-proof buildings by using the same inward slant design, which has withstood the test of time. BOTH THE ANCIENT EGYPTIANS AND INCAS / PRE-INCAS…used solar symbolism as a definitive part of their religion, which was identical. In Egypt the solar deity was Ra, in Peru the solar deity was Inti. In both cultures, you are the solar deity; the sun is a symbol of you, of your soul. You are a sol. You are an eternal divine sun. You have voluntarily Incarnated in matter, but now have amnesia of your true spiritual Self, you’ve lost your way home. BOTH THE ANCIENT EGYPTIANS AND INCAS / PRE-INCAS…used animal deities in symmetrical poses flanking a central solar emblem. Just as the sun strikes a perfect balance between Winter and Summer, the extreme Cold and extreme Hot seasons…so it is vital for our own inner suns (the sun symbolizes our eternal soul or Self) to balance our own positive and negative twin animal energies, urges, instincts, appetites, etc. in order to stay in balance and in harmony with nature. BOTH THE ANCIENT EGYPTIANS AND INCAS / PRE-INCAS…used the “animal on the forehead motif” to evoke the power of the Third Eye. Both cultures understood that we can create a trancelike state where we “awaken” our so-called “Mind’s Eye,” “Inner Eye,” or “Third Eye,” a symbol of spiritual illumination thought of as existing near the forehead above and between the two eyes―exactly where the animal is placed in the image above. BOTH THE ANCIENT EGYPTIANS AND INCAS / PRE-INCAS…used the stepped design motif, which symbolizes the gradual ascent the initiate makes on his / her journey from lower man to ascended human being. Rome wasn’t built in a day; you don’t find your “Christ within” or your “Buddha within” in one day. Ascension takes time and effort. BOTH THE ANCIENT EGYPTIANS AND INCAS / PRE-INCAS…built the same identical Triptych temples. The Triptych design is a worldwide architectural phenomenon that graces the facades of temples, and that symbolizes the same Universal Religion practiced all over the ancient world. The religion is based on the same “balance of opposites” formula described above. The twin outer doors symbolize opposites (the left-side / right-side of our lower temporary self) while the middle door symbolizes the central point of eternity (the centered higher eternal Self). Triptych Temples were later inherited by the Gothic cathedral builders, the Freemasons. LEARN MORE HERE. BOTH THE ANCIENT EGYPTIANS AND INCAS / PRE-INCAS…carved stones that were tightly bound and fitted together with the use of metal clasps. What are the chances that this technique evolved, after millions of years of human evolution, in the same exact spec of time (give or take 1,000 years) on opposite sides of the globe? BOTH THE ANCIENT EGYPTIANS AND INCAS / PRE-INCAS…revered the “Staff God Icon,” which is nothing less than the lost crucifix of the ancient Universal Religion described above. Not yet documented by scholars, the Staff God Icon is found everywhere around the ancient world; it symbolizes the perfected human being. (Learn more from this book). BOTH THE ANCIENT EGYPTIANS AND INCAS / PRE-INCAS…built similar looking inward slanting tombs and temples. BOTH THE ANCIENT EGYPTIANS AND INCAS / PRE-INCAS…designed anthropomorphic coffins for the deceased and designed those coffins to look like the local god or hero who had defied death and who had lived to tell about it. This is the example given for the masses to follow, for we all must defy death (in the end) by looking for and finding true eternity within. BOTH THE ANCIENT EGYPTIANS AND INCAS / PRE-INCAS…decorated their Third Eye or Circle Eye with the imagery of the sun. The sun is an eye in the heavens; many ancient civilizations depicted the sun as an Eye, not just the Egyptians and Incas. BOTH THE ANCIENT EGYPTIANS AND INCAS / PRE-INCAS…depicted “sun eye symbols”, both associating the sun with an eye and vice versa. Both cultures knew that the single Eye (the Mind’s Eye or Third Eye) sees the inner sun (the inner soul). BOTH THE ANCIENT EGYPTIANS AND INCAS / PRE-INCAS…built their most important temples using massive stones each weighing hundreds of tons. BOTH THE ANCIENT EGYPTIANS AND INCAS / PRE-INCAS…built parallel reed boats. BOTH THE ANCIENT EGYPTIANS AND INCAS / PRE-INCAS…depicted floating deities. BOTH THE ANCIENT EGYPTIANS AND INCAS / PRE-INCAS…depicted phallic symbols and associated these symbols with fertility. BOTH THE ANCIENT EGYPTIANS AND INCAS / PRE-INCAS…depicted spirals to symbolize our entrance / exit to / from the material /spiritual worlds, which worlds encompass both sides of our eternal being. BOTH THE ANCIENT EGYPTIANS AND INCAS / PRE-INCAS…designed and built similar-looking temples. BOTH THE ANCIENT EGYPTIANS AND INCAS / PRE-INCAS…used symmetry in much of their art, balancing left / right. Often used serpents in symmetrical poses. BOTH THE ANCIENT EGYPTIANS AND INCAS / PRE-INCAS…used very similar styles of stone-craftsmanship. BOTH THE ANCIENT EGYPTIANS AND INCAS / PRE-INCAS…designed similar-looking artwork, which focused on symmetry and esoteric symbolism. BOTH THE ANCIENT EGYPTIANS AND INCAS / PRE-INCAS…depicted their solar deity as a circle with a dot in the middle, which was also a symbol of the Self in both cultures. The Incas and the Egyptians are indeed profoundly similar. Having uncovered many of these parallels themselves, the Victorian scholars believed the two cultures were children of the same ancestral Mother Culture or Golden Age “Atlantis” culture. Following Plato and some of the Classical historians, they believed Atlantis sank into the Atlantic ocean following a kind of Flood-like catastrophe, but left behind outposts on either side of the Atlantic ocean that preserved its culture. Neither Egyptian nor Inca was in contact with the other, yet nevertheless both shared a common heritage. Western scholars and academic institutions are grossly ignoring Atlantis. Worse, they are suppressing the evidence and mystery surrounding these many bizarre Inca / Egyptian cultural parallels (possibly because the powers that be know these parallels will lead to Atlantis). We need to remember that these Egyptian/Inca parallels were plain as day to past Victorian scholars. From the benefit of this perspective we can thus see how the parallels are not just being ignored by Western academic institutions, they’re being suppressed. Why are scholars suppressing this evidence? These scholars — mainstream historians and archaeologists — are fundamentally honest and hard-working people who perform the extraordinarily laborious task of unearthing artifacts from our ancient past. The problem is that they are locked into a particular paradigm that sees our society as the apex and pinnacle of the human story. They view history as a straightforward evolutionary process, from caveman to today’s highly technological civilization, which in their minds is the “supreme” one. They are 100% locked into this “evolutionary” idea of how history works, and so it’s very difficult for them to accept that deep in the remote past there existed a civilization or Golden Age that was far more advanced than we are ― spiritually, psychologically, technologically ― and that was able to do things that we cannot. Cultural evolution is the lens through which they view reality, and so they dismiss any anomalous evidence or find plausible explanations for any evidence that does not jive with this reality. Moreover, being a “scholar” or an “academic” is a job, a profession, which is part of a larger structure. If you want to get a job as a “scholar” or “academic” and if you want to get published or win research grants or move along in the profession you absolutely need to buy into its mindset; this means buying into the evolutionary paradigm. If you don’t buy in then you simply won’t get hired, and you won’t climb the ladder and move up. This is the simple way in which research into the human past is being controlled. But controlled by who? And why? By controlling major academic institutions and the mass media, a vastly wealthy elite group of powerful corporate families is successfully hiding historical and spiritual truths of our ancient past. The goal of this group is to maintain a secretive global system of economic and political tyranny that their forefathers established more than a century ago that was once termed the “Invisible Government” by influential American leaders. More specifically, this elite are concealing the fact that there once existed a highly-sophisticated “Golden Age” civilization on earth in remote prehistory. This Golden Age civilization ended abruptly, but left behind a powerfully-advanced spiritual doctrine that was later inherited by the world’s first known civilizations, all children of the Golden Age. By denouncing, and thus debilitating, any academic study even remotely related to the so-called “hyperdiffusionist” model of history—a model that was widely accepted by scholars of past centuries, who called the Golden Age civilization “Atlantis”—the elite have successfully kept the Universal Religion out of our reach. In doing so they have prevented us from accessing a deep, self-empowering body of human wisdom that has the potential to stir an awakening in humanity which would endanger their global hegemony. The present article has presented a single example of hyperdiffusionism in the ancient past. It’s a revealing look at how the ancient culture of the Egyptians, a highly-advanced civilization that flourished along the Nile river in Africa, is mysteriously similar to a parallel culture on the other side of the globe, the ancient pre-Inca and Incas, who flourished in the Andean region of modern Peru. What you have seen is evidence of the Universal Religion on both sides of the Atlantic Ocean, apparently handed down by the same Golden Age civilization. Most important to stress once again, the Universal Religion is not fiction; the Universal Religion relates profound and eternal spiritual truths explaining who we are, where we came from, where we’re going, and the meaning of life itself. If one day this Universal Religion ever became widely known, people would become so empowered by the spirituality of their inner nature and by the eternity of their own being that they would quickly rise up and break the chains of their enslavement and dethrone the Invisible Government, that malicious and malevolent organization that for centuries has oppressed the masses and hidden the true reality of life on earth. When a generation finds the theology and practice of the modern church wanting, they turn to the internet for answers. An investigation into the roots of the reformation reveals a theology that challenges everything they thought they knew about Christianity. Luciferian Sexual Agenda - POPE FRANCIS TO BE ARRESTED! THE SNAKE CITIES OF IBALONG and the EMPIRE OF THE SUN. CMYK-RGB PRINTS - Printing Your Dreams Unlimited! DESIGNS, GRAPHICS, PHOTOGRAPH & FAST COPIES.. AVAILABLE @ DISCOUNTED PRICES. RHJM Prints RH Building Bldg. J Hernandez Ave. Naga City, Cam. Sur Call OR TXT us Mobile:09999210021 (Smart) 09272796767 (Globe) Tel. 881 3900 FOR MORE INFO.